Handloading Special: Handloading is about FUN! I can still remember the first cartridge I handloaded. In the dingy trailer of a young cop I met at the local firehouse where I volunteered, I churned out lots of .41 Magnum ammunition during my teen years. Under his tutelage, I learned the very basic skills of handloading: the mechanics of sizing and priming, how to refer to data and select components, how to measure powder and the importance of safely working up a load, and how to seat a bullet. As I came to learn, handloading is not undertaken to save a little money on ammunition. Nor is handloading the only way to shoot high-performance bullets or to have more accurate ammunition. Today, handloading is a labor of love—a pastime taken up by shooters who enjoy everything from the satisfaction of doing it themselves to the breadth of ballistic understanding gained from "rolling your own." Modern handloading is no longer limited by the bounds of ignorance. Instead, affordable equipment for measuring pressure, velocity, and even computing safe loads without so much as firing a shot has safely opened doors to experimenters who might otherwise have been limited to data published only by component manufacturers. New tools make it possible to measure consistency to the nth degree and then to correct for any inconsistency to make not only a perfect cartridge, but lots of perfect cartridges—one with every pull of the press handle. I personally get off on the knowledge I gain from handloading. In old loading articles you can find gallons of ink spilled on observations a shooter supposedly can make to determine cartridge pressure. Some are actually fairly accurate, others are a joke, but overall it takes more effort to educate yourself to the old ways so you can separate fact from fiction than it does to simply hook up your rifle to an Oehler Model 43 PBL and really measure cartridge pressure. their target velocity with lower and safer powder charges. Modern tools such as the PBL are commonly available and relatively affordable to average shooters and allow today's handloaders to expand beyond the limits of factory-tested data and to delve into new territory. Today, we're able to work up safe loads with bullet and powder combinations that are not necessarily found in loading books and to check the too-good-to-be-true ones found on the Internet. That's something I like because when a manufacturer comes out with a new bullet, be it something like a Hornady InterBond or a Barnes Triple- Shock, handloaders can make maximum use of those bullets right away instead of waiting for the next release of that manufacturer's loading manual. As with pressure, I've seen old published "guesses" at velocity increases based on such nonsense as "the shot sounded louder." But as much as I'd like to, I can't ridicule that as complete foolishness because handloaders didn't know any better back then. Today, personal chronographs are priced so affordably that every handloader should own one, and judging from the number of PACT, Chrony, and Competition Electronics units I see at the local Izaak Walton League's range, it looks like it's headed in that direction. When a chronograph is used in conjunction with published loading data, modern handloaders are able to find if they're hitting their target velocity with lower and safer powder charges than the data calls for or if their combination of components results in velocities so high as to call pressure into question. With accurate velocity knowledge, today's handloader can compute the actual bullet drop or wind deflection of their loads. It's not easy finding a range measuring 300-plus yards to shoot and see exactly how much bullet drop you get with a load. You can figure it out mathematically or by referring to ballistics tables if you know the muzzle velocity of your load. But, golly, you can be way off if you accept the velocity published in a loading manual because it was measured using a test barrel, and they're typically longer than sporter barrels, resulting in higher velocity. Even without pressure-testing equipment or a chronograph, today's handloaders are liberated from the same old thing by computer programs such as "Load from A Disk" or "Quick Load." As with the old Powley Pressure Calculator slide rule, a handloader simply plugs the variables into these computer programs to get a list of suggested powders and charge weights for a given bullet. A-Max, can be produced with utmost precision and tight tolerances, which gives handloaders the ability to build ultra-accurate loads. Advantages with the computer are that you can print out and store data, instantly change variables, and get updated suggested loads. And as long as I'm on the subject of computers, I should note that today you can pick just about any cartridge and "log on to load up." You may not always find tested loads by searching the Internet, but you will find loads even for weird and obsolete cartridges. I also find it beneficial to check the various message boards and chat rooms to see what combination of components other shooters around the world are using. Every handloader should be familiar with the classic .38 Special target load of 2.7 grains Bullseye powder and a 148-grain lead wadcutter bullet, but what's the load shooters are using for bowling pins, IPSC, cowboy action, or IDPA? You'll find lots of that kind of data on the Internet. Another thing that makes handloading more interesting and different today is the array of bullets available to handloaders. Factory ammunition as a whole is much improved, more accurate, and more varied than it ever was before, but I'm a diverse and avid rifle and handgun shooter, so it's important to me to be able to select bullets specifically for my task at hand. Bulletmakers' efforts to outdo each other in recent years have resulted in bullets designed to perform in very specific ways over the range of modern, super-charged impact velocities. Gone are the days of silly things like the Herter's Wasp Waist bullet that could hardly fly much less perform or loading .38 Special hollowbase wadcutters upside down as so-called "manstoppers." On the rifle side, clearly the Nosler Partition is the granddaddy of all the high-performance bullets. It was designed to combine explosive expansion with deep penetration—two characteristics that were for the most part mutually exclusive prior to the Partition. I believe Partition's level of performance has in part sired the effort manufacturers have put into making other partitioned bullets, bonded and tipped bullets, and even bullets designed to perform at reduced or ultramagnum velocities. Handgunners have it even better. Previously, it took the pressure risks and wear and tear of +P ammunition to make handgun bullets perform, and even then their performance was often unpredictable. Today, a handloader need only choose one of the premium pistol bullets, such as Speer's Gold Dot, that have come out as a result of the famous FBI bullet tests to get excellent and reliable penetration, expansion, and accuracy at safe and manageable levels not possible before. Target shooters haven't been neglected either. Though moly-coating made a brief, albeit significant, impact on target shooting in the late 1990s, it's the lasting bullet improvements such as J4 jackets and VLD profiles that finds more bullet holes in the X-ring today than in the 10-ring. And as bullet designs have improved, manufacturing has kept pace by developing production equipment that lets Sierra put straighter boattails on MatchKing bullets and Hornady to put together such complicated beauties as A-Max bullets with a precision and tightness to tolerance not possible with yesterday's manufacturing equipment. If you consider shot size, then today's shotgunners have about as many projectile choices as rifle or pistol handloaders do, and they sure have a heck of a lot more choices than just chilled or magnum lead or nickel or copper-plated shot. Many of the nontoxic shots are available to handload, and it's the nontox loads that have opened up entirely new handloading opportunities and even drives the shotshell market in its current direction. High-velocity factory loads are a result of what modern shotshell handloaders developed to make steel shot more lethal. High-velocity steel was a handloading proposition only when I first got into waterfowling. While my buddies and I were hammering green heads with high-velocity 1-ounce 12-gauge loads, ammunition manufacturers were responding to steel's inherent deficiencies by belching out more slow pellets in "magnum" loads. Today, the two have melded together into some great factory 1 1/8-ounce high-velocity steel shotshells. Hevi-Shot handloads were turning turkey toms into jelly heads for quite a while before Remington brought out the factory fodder, and classic shotguns still grace the duck marshes today thanks to what's been done with bismuth. If the thought of elegant side-by-side shotguns and waxed cotton pulls at your heartstrings, then there's a whole world of bismuth handloading waiting for you. Modern electronic powder dispensers make throwing an accurate powder charge easier than ever before. In the area of shot wads, there are so many designs today that with handloads you can make shotshells that perform perfectly on everything from "in-your-face" quail flushes to long passers on Canada geese. One of my favorite 20-gauge dove loads is a handloading-only proposition. It combines 5/8 ounce of No. 7 steel shot in a multislit wad at high velocity to literally sweep the birds out of the sky. There are about 100 more pellets in an ounce of No. 7 steel than in an ounce of No. 7 lead, which greatly increases your chances of bringing down a bird. If you're a gamesman and really want to bruise a few of your buddies' egos at the range, load up some high-velocity steel target loads and take them to the range. They will swear you've found a new way to cheat. Such high-performance loads—rifle, pistol, and shotgun—wouldn't be possible today without the powder manufacturers keeping us stocked with so many different choices and levels of performance. There are so many powders today, in fact, that it's hard to try them all, though Hodgdon is now putting out its Xperimental Packs, making it easier to attempt to try them all. No longer are handloaders saddled with a small assortment of canister powders or repackaged who-knows-what surplus stuff that may differ tremendously from lot to lot. Instead, there are bunches of task-specific canister powders, with suggestive names like Hodgdon's Clays, that also enjoy a broad range of overlap into other types of loads beyond the obvious. 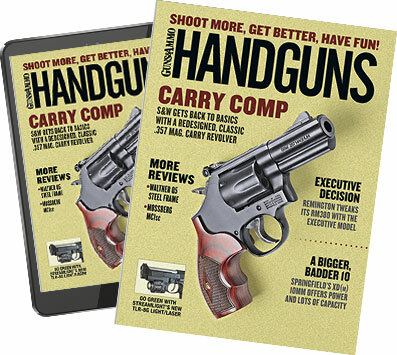 Just like powders such as Bullseye, Red Dot, or Green Dot that have been steadfast offerings, new powders such as Longshot, Lil'Gun, and American Select are just as likely to be found on the loading bench of a handgunner as a shotgunner. Today, new powders have also broadened the spectrum of relative quickness and filled many of the gaps that existed allowing handloaders to assemble loads offering a higher level of performance at lower pressure that burn cleaner and cooler. As far as I'm concerned, Bullseye remains king of the fast powders, but I also see new ones like Ramshot's Zip giving it a run for its money. At the other end, super-slow burners like Hodgdon's Retumbo make possible safe, high-performance loads in such powerhouses as the Remington Ultra Mags and 7mm STW that shooters would have previously pooh-poohed as being overbore. With so many new and interesting components, it's easy to sit back and be satisfied with the status quo, but we're not. We want every bit of precision, consistency, and convenience reloading tool manufacturers can muster. Handloading tools have reached a level of precision that's available to the average handloader that was unheard of back when the best advice for getting maximum rifle accuracy was to neck-size only. Digital powder scales make weighing charges and sorting component bullets simple and efficient. If that's as far as you want to go down the accuracy path, then today you still have to choose between conventional neck-sizing, bushing-type neck-sizing, or collet-type neck-sizing dies. Redding even has interchangeable bushings for its dies in 0.001-inch increments so you can adjust neck tension to influence accuracy. Another rifle accuracy tip from the past that modern tools have made easier is the advice to "seat the bullet so it just touches the rifling." Getting to that point used to be a time-consuming process of making up a dummy cartridge and trying it, then adjusting your seating die until you got it right. Today, simply plug Stoney Point's Chamber-All Overall Length Gauge into your chamber, and you get the actual measurement of your rifle's freebore. Just set your die to that measurement and start loading. You can then quickly and accurately check headspace and bulletseating depth using something as simple as an RCBS Precision Mic or as sophisticated as Redding's Instant Indicator Comparator. We also know more today about how important concentricity is to accuracy and can check it by simply spinning the case or cartridge in an RCBS Casemaster Gauging Tool. And if you're not consumed with making every single aspect of a cartridge perfect, modern handloading tools still let you turn out more accurate handloads without the tediousness it once required. Something as simple as throwing an accurate powder charge is greatly simplified with electronic dispensers like Lyman's 1200 Digital Powder System. Enter a charge weight, push a button, and let the machine run the correct amount of powder out. If you still like the speed and ease of a conventional powder measure, charges are more quickly and easily checked on a digital powder scale than on a balance beam scale. And talk about a quick and easy way to sort bullets based on weight—once you try it with a digital scale, you'll never use anything else. Loading presses are made more versatile by the use of quick-change bushings and other accessories. I don't know that I'd say presses have gotten any easier to use. Some of the progressive ones are darn right complicated to set up the first time, but there's still the elegant simplicity of ones like Lee's Classic Cast Press. Even presses that simple are made more versatile using new accessories such as Hornady's quick-change Lock-N-Load bushing conversion kit. Progressive presses are much more available and more within the financial means of the average handloader. They really can be set up to make a perfect cartridge with each pull of the handle. You may not actually save money over inexpensive surplus or imported ammunition by cranking out 9mm rounds on a Dillon progressive press, but you can sure crank out and shoot enough of them to convince your spouse that you are. Whether or not you take up handloading, if you can't find something about it that seems fun or interesting—be it the ballistic knowledge, the precision of the most consistent loads, or the satisfaction that comes from making great loads on your own—then, please, try golf. My experience is that every shooter out there has some fascination with handloading. Today, the ease with which someone new can start assembling safe, accurate loads in less time than ever before should bring more people into the hobby, and, yes, those new handloaders are finding, as I did, that their new hobby is about fun.